What if, when we make something new, we also consider how it can be unmade when it’s no longer of use? Can the materials be separated and repurposed? Can some or all of it biodegrade? How do we keep it from polluting our oceans or contributing to landfills? Can we plan for a product’s entire lifecycle as a part of its design? “There’s a world of opportunity to re-think and re-design the way we make stuff.” This is a concept called The Circular Economy. 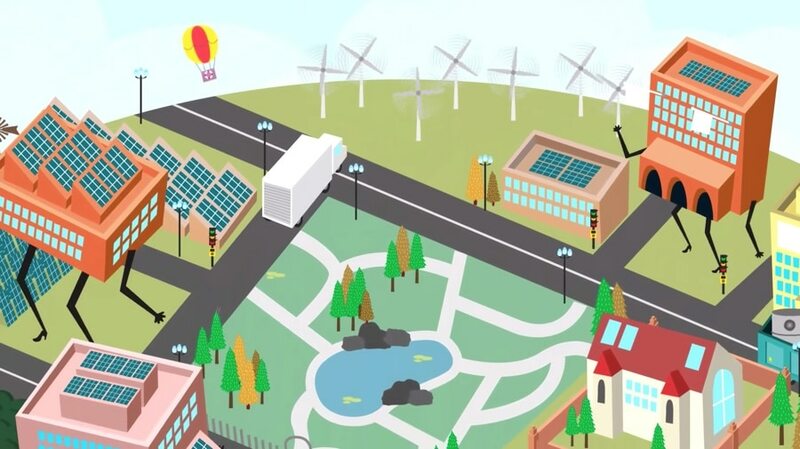 This Re-Thinking Progress explainer animation is from the Ellen MacArthur Foundation, a UK-based organization that’s working to educate and empower schools, companies, and governments in their transitions toward a Circular Economy. Related reading: The Circular Design Guide. Related watching: Videos about zero waste and sustainability, including how this Japanese town is working to produce no trash, how to fit 4 years of trash into a mason jar, and Inside Montreal’s Zero Waste Urban Greenhouses. Plus: Inside the Compost Cycle: Turning waste to nutrient-rich soil, The Surprising Places We Waste Energy, and The Landfill – Different kinds of trash as harvestable resources. Bonus: How design can change our experiences & environments. The post What is the Circular Economy? appeared first on The Kid Should See This.